We most often associate the term ‘fertile’ with the land’s ability to produce an abundant crop. The term speaks to the land’s richness, its prolific nature. The same can be said of the human mind. It too, like the land, can produce an abundant harvest. The mind is, after all, just as rich and prolific as the land itself. The mind is so rich and prolific, in fact, that it is truly the source of every behavior we demonstrate and every achievement we accomplish. The simple truth is that there is no act that happens without it first being a thought created in our minds. Since the mind and the thoughts it generates hold such an unlimited power to create, it’s important that you grow your awareness of your own thinking. Your mind and your thoughts are the single most important attribute you possess, and by mastering it can you increase your happiness and success in life. How? By managing your mind. Believe it or not, you can choose your thoughts and manage your mind. All of us have the natural ability to refuse any thought that does not support us, and at the same time, encourage thinking that empowers us. Again, all it takes is mind management. Mind management takes observing yourself and your thought patterns and allowing only those thoughts that are going to support you in positive ways. 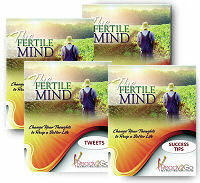 As you identify your thoughts, you need to begin consciously replacing your negative thoughts with positive ones. In this way, you change your life. In this program, your participants will learn about the human mind, its tremendous power and potential, and how it can and needs to be managed if they want to better their lives. This teleseminar will teach participants how to manage the most powerful tool they own for creating the life they want – their mind. By managing the mind’s incredible power they will be able to make any change they want in their life. But this first takes understanding the mind and the connection that exists between what they think and what they choose to act upon in their life. Explore the power and potential that exists in the human mind. 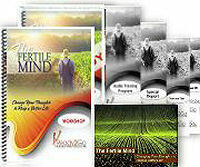 Review three important truths about the mind and how the way the mind operates impacts our lives. Recognize the need to be aware of their thoughts and how those thoughts create the reality they experience in their life. Examine what it takes to manage those thoughts they don’t want to be thinking. Practice using some simple yet highly effective mind management tools that can help them manage the negative thoughts they don’t want and change their prevalent negative thinking into productive, positive thinking instead. An introduction to the concept of mind management through a farming metaphor. Participants are introduced to the idea of their mind being like a garden with unlimited potential for influence and creation. A discussion and exploration of the three important truths of the mind. Participants take an inventory of what is currently running through their minds and recognize the affect those thoughts can have. 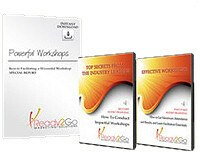 Learn strategies to become aware of their most prevalent thoughts and how to manage them. Participants explore a powerful technique for managing thoughts that reoccur and are wanted. Participants will identify a variety of thoughts, the affects those thoughts have on their reality, and various techniques to neutralize, eliminate, stop those thoughts in the future. Participants choose a quote to help lock in their learning about managing their thoughts to manifest their desires.